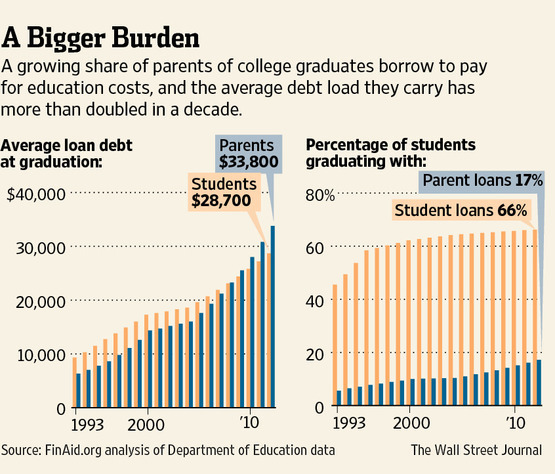 As the costs of college have risen, so has the number of parent loans and the amount borrowed by parents. Families should exhaust other options before turning to parent loans. Parent loans typically come with costlier terms than loans for students. “For families with equity in their home, a cheaper option could be a home-equity line of credit.” The interest on such a loan may be tax-deductible. Another option for parents is education loans offered by companies or state-related education funding entities.